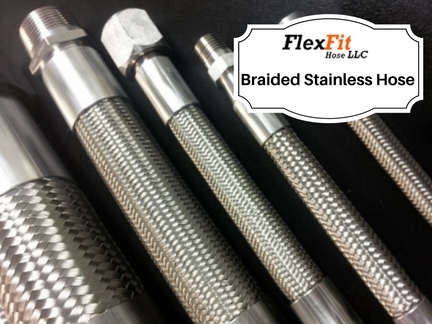 Select our smooth-bore, heavy wall PTFE Flex Hose with stainless steel braided reinforcement when better flow rates are required. 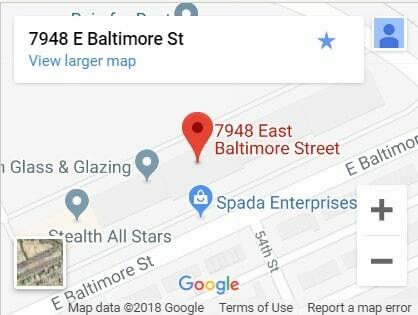 Standard sizes are from 1/8″ – 1″ I.D. Please see below for detailed specifications . 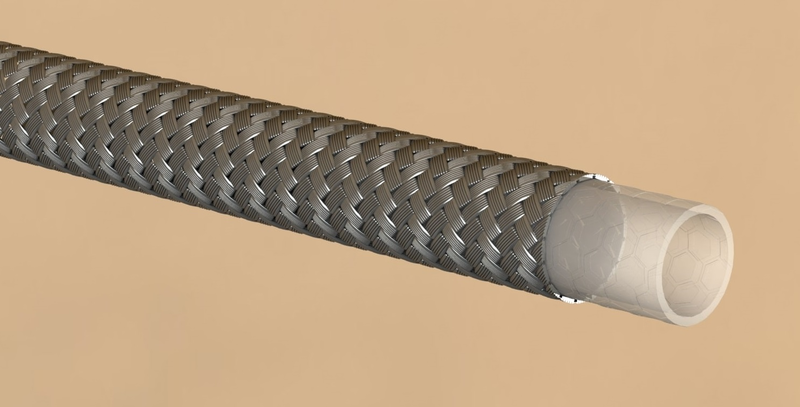 If a larger size and even more flexibility is required, then select our C-Flex convoluted tube PTFE hose . 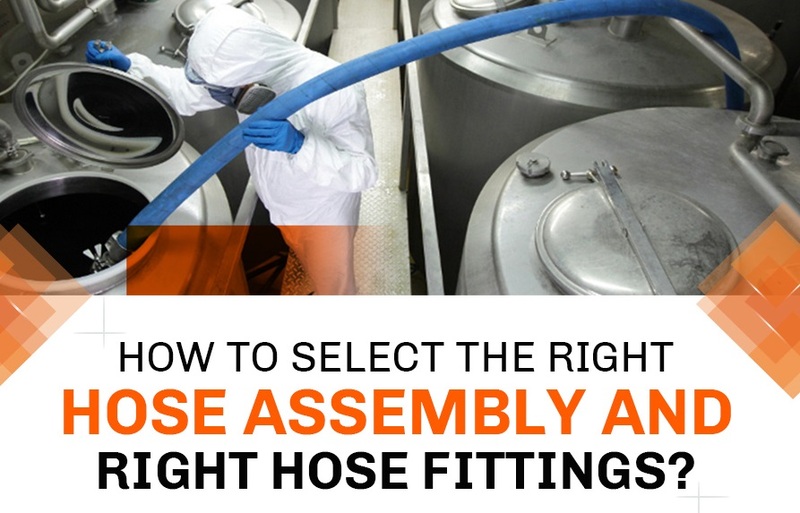 Let us fabricate your custom length PTFE hose assemblies by selecting from our hose fittings that come standard in 316L stainless steel. Other fitting material options are available. 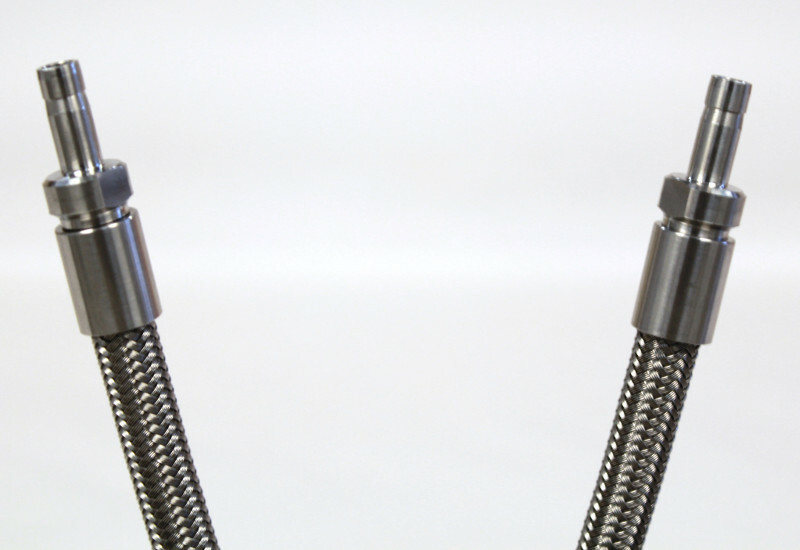 Our crimp collars for PTFE hose assemblies are made from 304 stainless steel. You can also purchase B-Flex PTFE hose in bulk starting at a minimum length of 50 feet. True inner diameter or I.D.